Google recently debuted the highly-anticipated feature +1 (pronounced “plus one”), which transforms the search engine into a social platform. Now, searchers will have the ability to share recommendations on products and services found directly from search engine results or ads, according to MediaPost.com. Google will begin displaying the +1 symbol throughout search results. 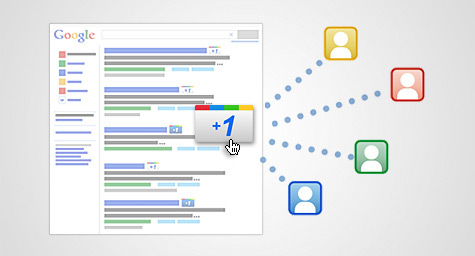 When users click on the +1 on a Web page or ad, they will be able to share that content. People that want to use the feature must create a Google profile or upgrade their current one. The profile lets users view all of the +1s in one place. The addition of the +1 button on web sites could attract more visitors since friends will see personalized recommendations on search results and ads. AdWords advertisers will also be able to view the symbol in search ads on the Google homepage. While the +1 symbol will be used as signals for organic search rankings, it will not affect Quality Scores or ad rankings. Advertisers will also be able to track the amount of +1s their search ads receive. “Soon, Google will allow publishers to add the +1 button to their Web sites,” says Aaron Goldman, CMO at Kenshoo. Mr. Goldman believes that +1 should improve click rates and help paid-search ads stand out as more relevant, but advises that businesses should monitor ad performance to determine the actual impact. Some think that the +1 symbol will be comparable to a Tweet or Facebook Like button, but marketing executives expect the +1 will be much more useful. While there will always be challenges when introducing new features, the industry believes that +1 presents many more pluses for everyone on the web.